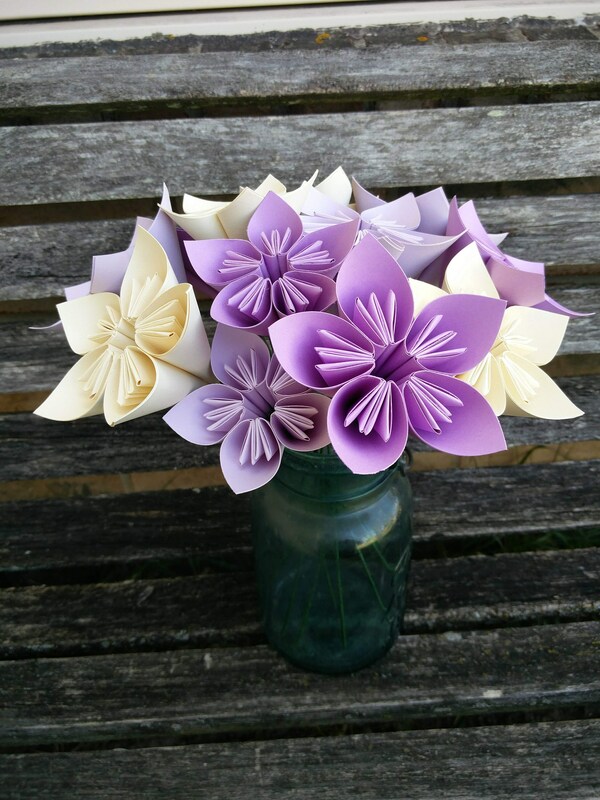 One Dozen Paper Flowers. CHOOSE YOUR COLORS. 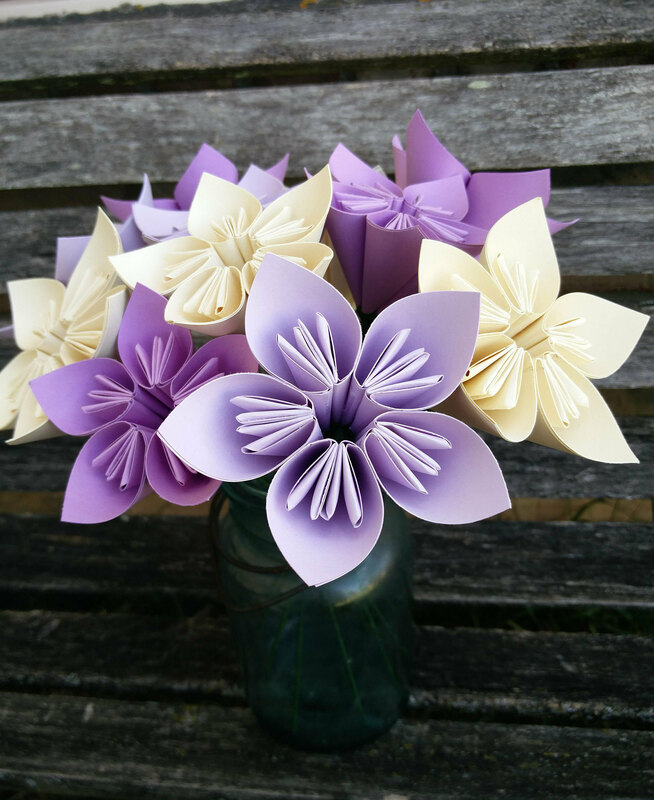 Anniversary, Centerpiece, Birthday. 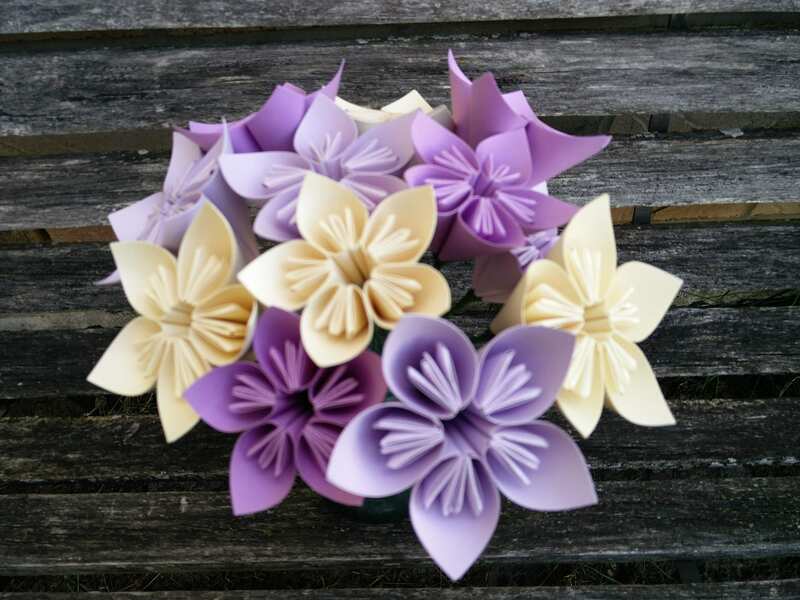 These kusudama flowers can be made from any colors you want! This listing is for a dozen. 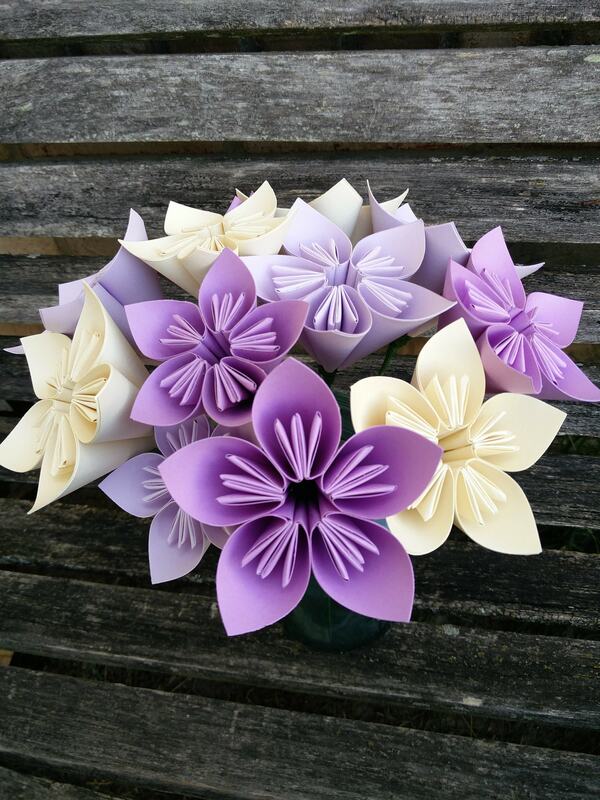 Each flower in on a flexible stem. They each measure just under 4 inches across. ***Please leave a message on the checkout page with colors you want. 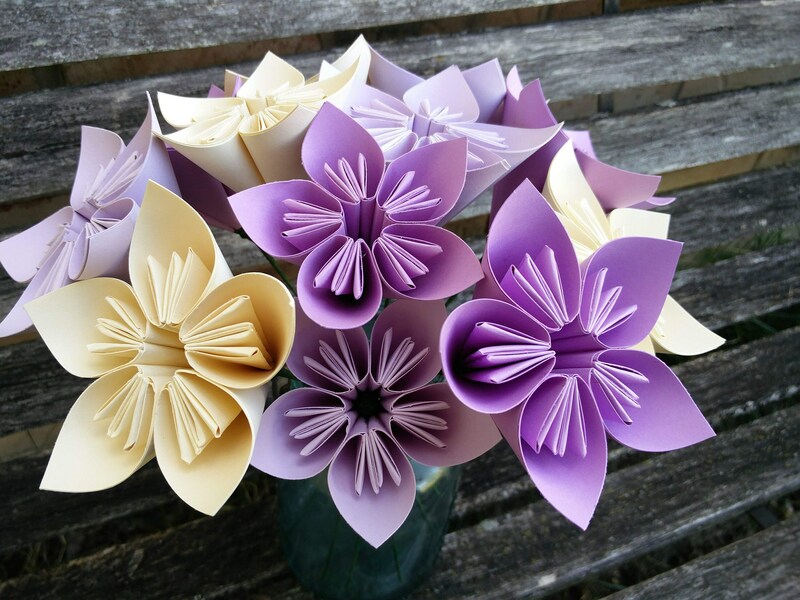 These are perfect for First Anniversaries, Valentine's Day, Mother's Day, birthdays or just to have around the house. They never wilt and will last forever. ***PLEASE allow me a few days to put one of these together. 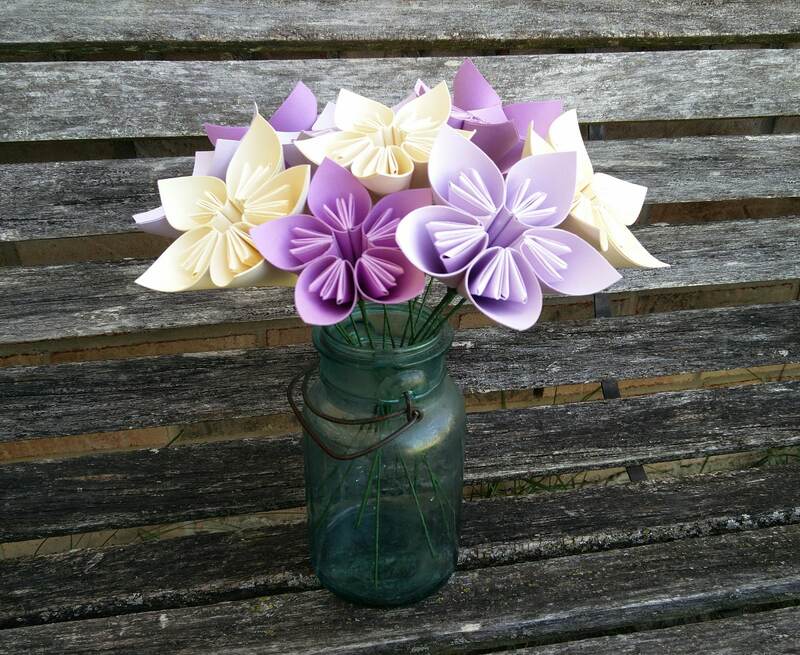 If you would like a custom order, just convo me and I would be happy to make whatever you would like. 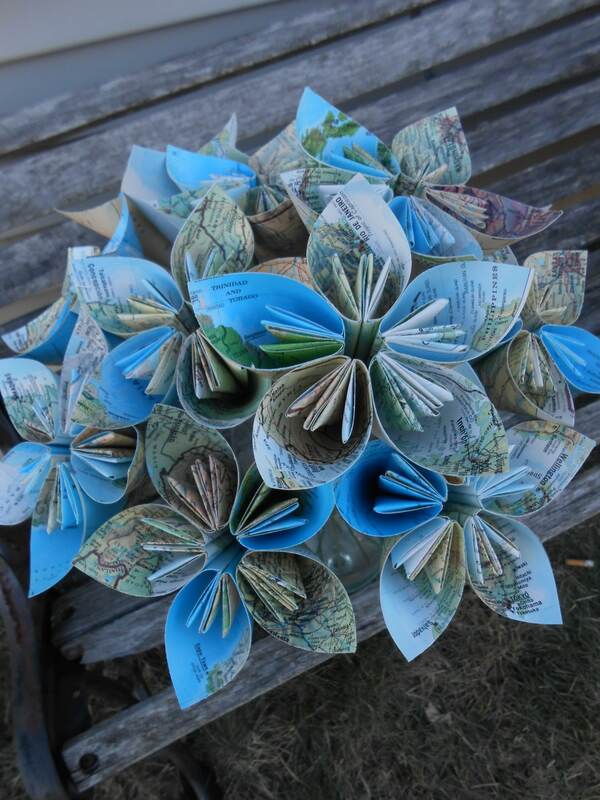 *See the last photo for an example of a map bouquet.